Tilda wishes you a Happy Birthday! 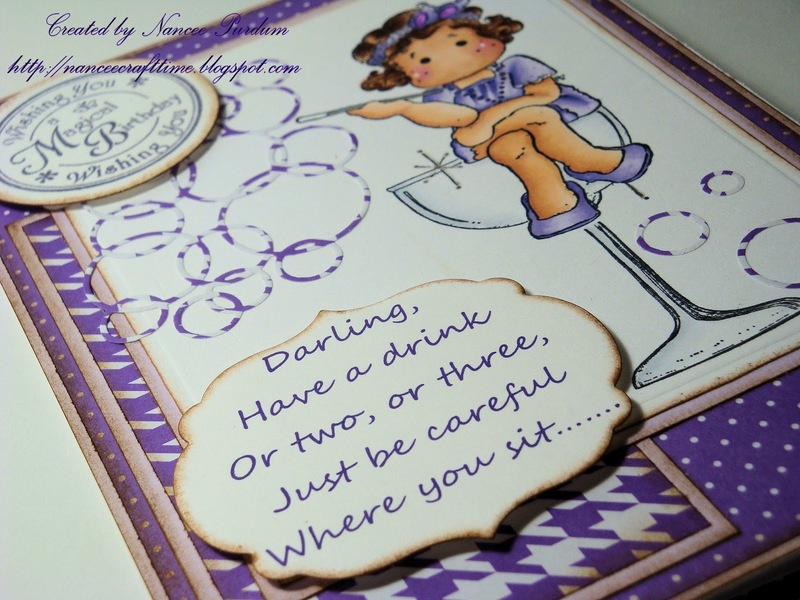 I’ve been so busy with work this past couple of weeks, but I did have time to make a couple of cards. My niece had a birthday and I needed to make a card for her. I had purchased Tilda in Havana becaused I just loved her, but I had yet to make a card with her. 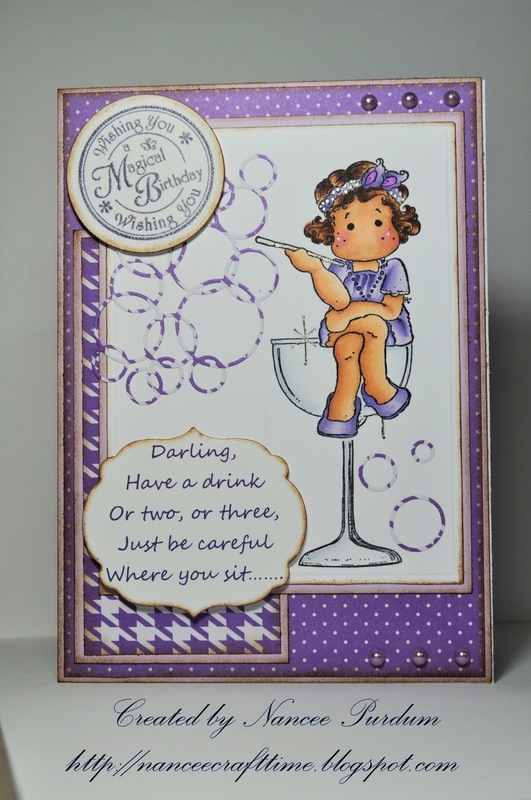 I saw a card that someone made using her sitting on the New Year’s Glass and loved the look, so I borrowed her idea (sorry I can’t remember her name…..I’ve seen so many fabulous ideas!) and updated it for my card. 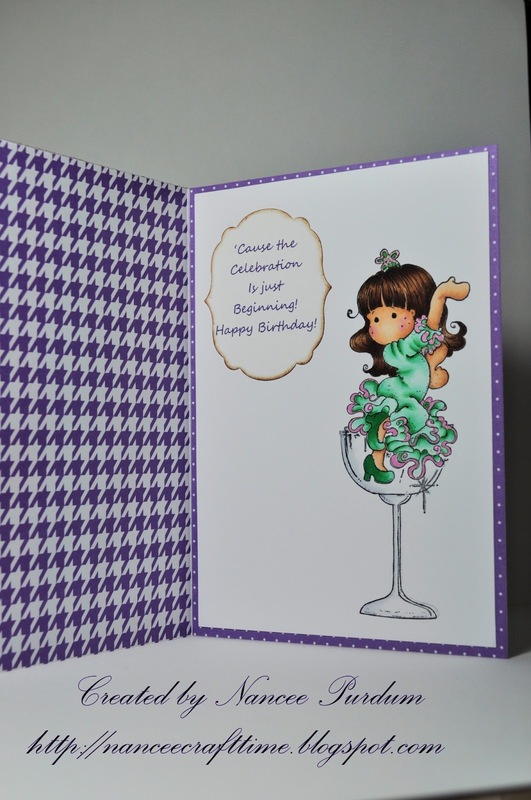 I loved the look, so I decided to “dress up” the inside of my card using a similar idea. The paper is from my stash. The dies are from Memory Box available at the Magnolia-Licious Store. The circle sentiment is from LOTV. Here is what I came up with……. I didn’t write down the colors I used. Sorry. 😦 Here is a peek at the inside of the card. 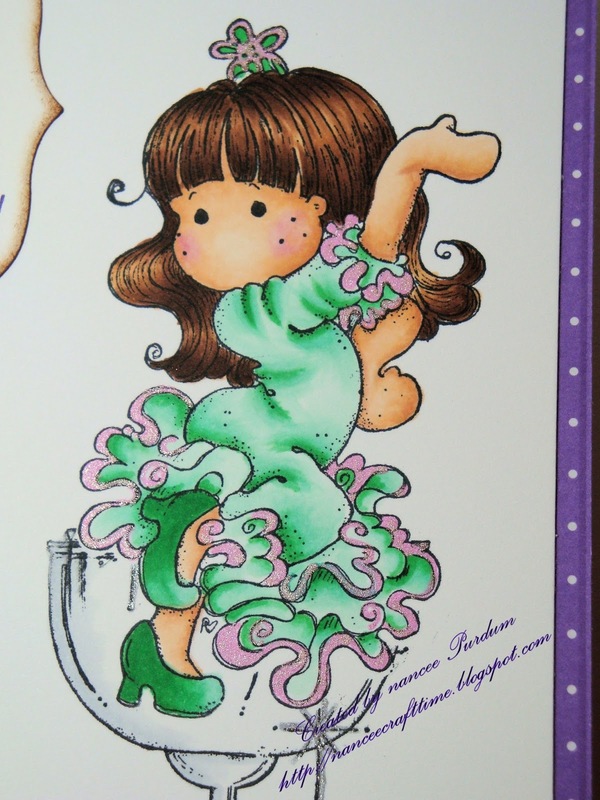 A close up of Tilda in Havana and Tilda Loves to Dance…..
Love the colors. Great idea. So cute and a great idea. Nancee, this is darling. Love it. Oh, Nancee, this is adorable! 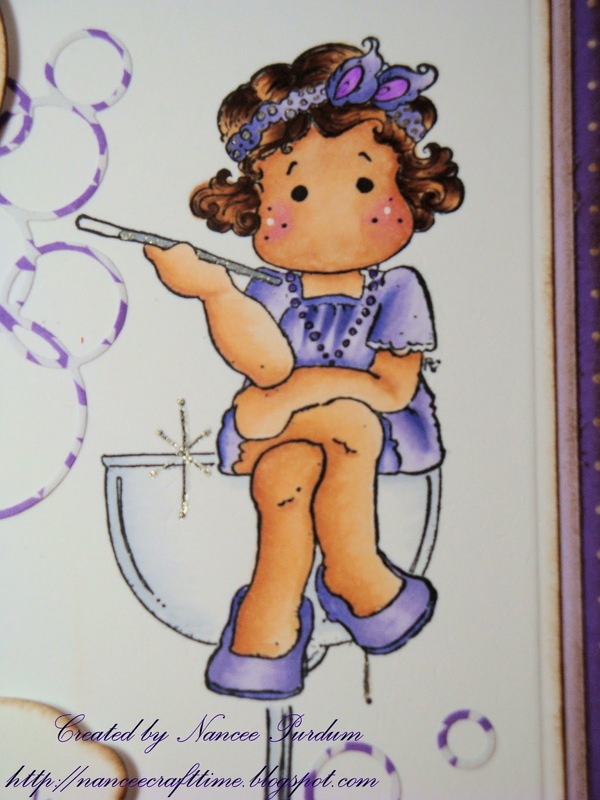 You're coloring is fabulous, Hun. Gorgeous! I love the colors and the design. Clever with Tilda in the glass. Just lovely…. 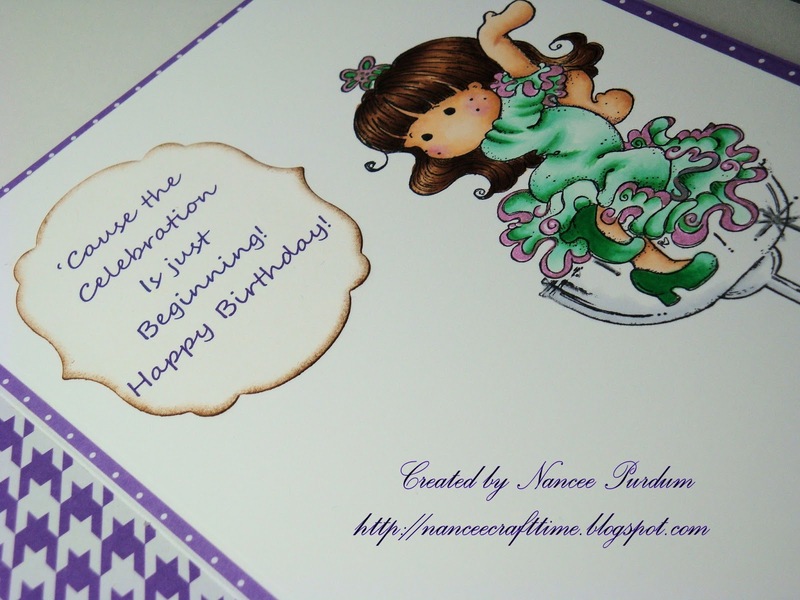 Hi Nancee, your card is darling! I love the Tilda sitting on the wine glass! Have a wonderful weekend! 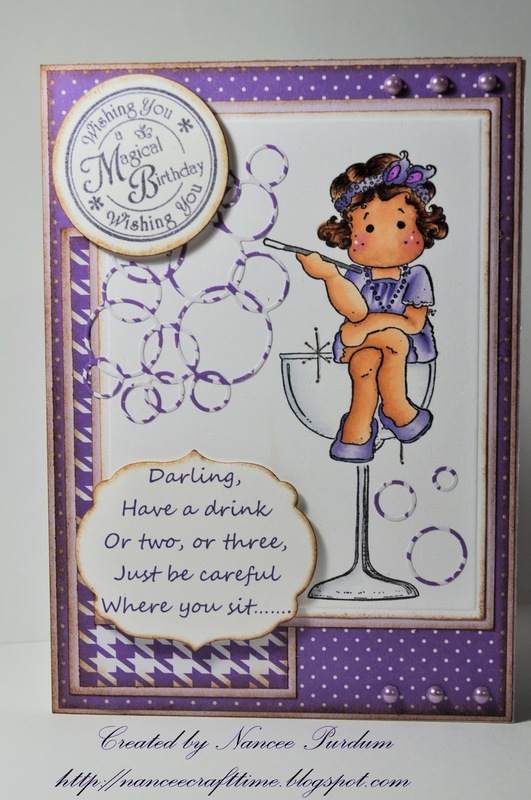 Great card and fabulous colouring. I love Havanna Tilda especially sitting on the glass. Thanks for visiting my blog and for the lovely comment you left.